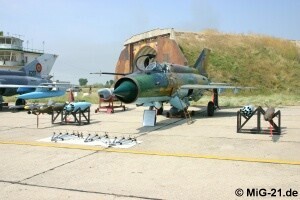 About 1000 MiG-21 are still in service all around the world. 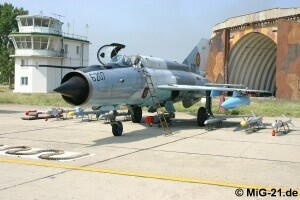 Most of MiG-21 user countries cannot afford new fighter aircraft. 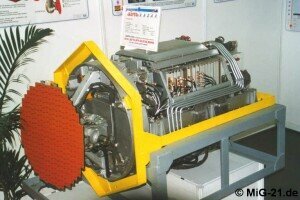 It is no wonder that at least three major upgrade programmes are running. 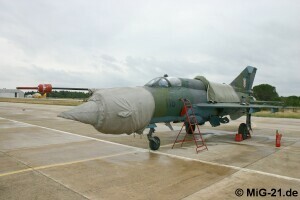 MiG-21 2000: Cambodia, Zambia, Uganda and two other yet unknown countries. 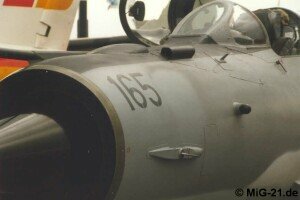 The most successful upgrade programme for the MiG-21 was presented at all major airshows - seen here at Paris Le Bourget 1997. 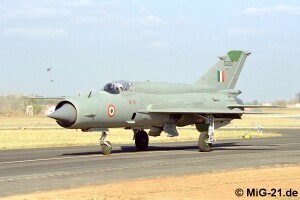 The Indian MiG-21bis UPG is very close to MiG-21-93 standard. 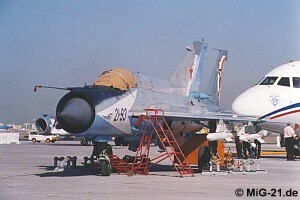 MiG-21-93 at Dubai Airshow 1999. 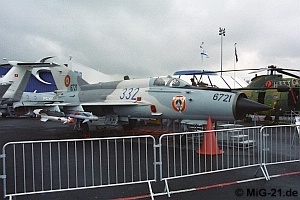 Israel Aircraft Industries (IAI) uses its experience with war prizes of Soviet origin for the upgrade business. 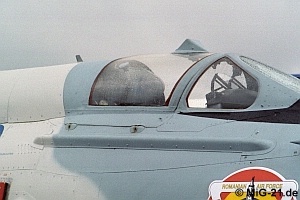 A comprehensive upgrade package for the MiG-21 is offered while it seems that the new single piece windshield was fitted only to the company demonstrator IAI-304 which is shown here. 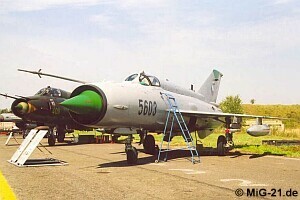 Although upgraded by AEROSTAR in Romania the equipment of the Croatian MiG-21bis and MiG-21UMD is different from LanceR standard. 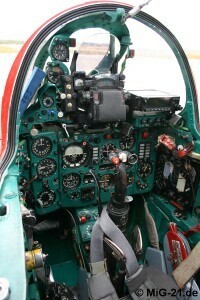 Only navigation und communication systems were subject to upgrade. 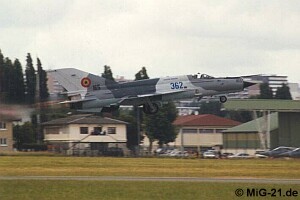 The Czech upgrade programme carried out by LOK Kbely comprised of 10 MiG-21MF which are now designated MiG-21MFN (N = NATO). 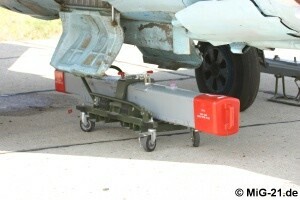 Externally the modernized aircraft can be distinguished by additional antennas and the new grey colour. 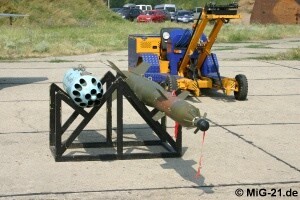 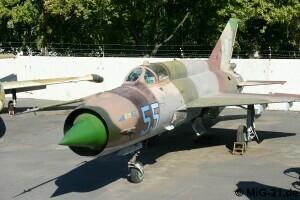 OdesAviaRemServis from Ukraine has recognized MiG-21's upgrade potential and offers a package of measures called MiG-21MU. 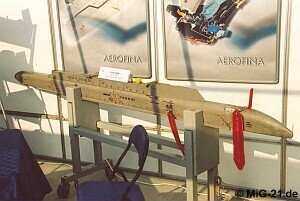 Nothing is known about the customers. 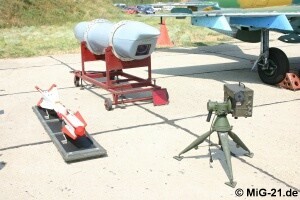 Core of MiG-21-93 programme is the Kopyo radar made by Phazotron. 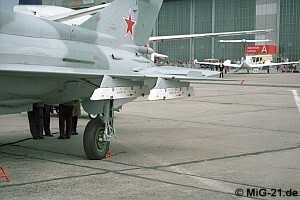 The extensive modifications of the MiG-21 LanceR can be seen also from outside: Head-Up-Display and fairing for additional wiring. 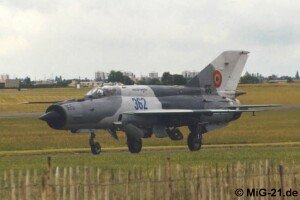 Also LanceR III differs in numerous modifications from the basic type. 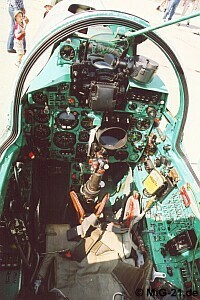 ... while in the cockpit of the fighter bomber LanceR A only one of these devices can be found. 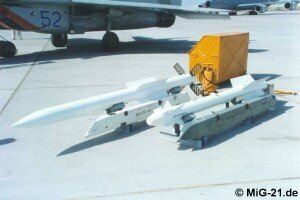 ... or an ECM pod. 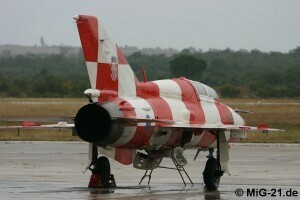 Externally the upgraded Croatian MiG-21 can be distinguished by antennas at fin and underneath the fuselage. 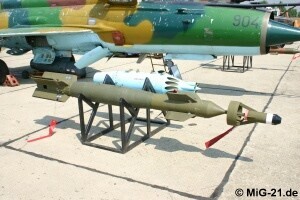 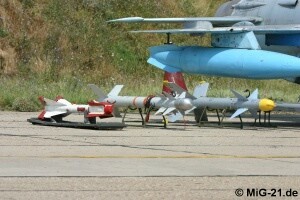 ... the MiG-21-93 carries R-73 and R-77 air-to-air missiles. 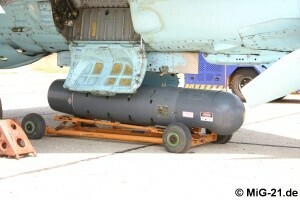 ... and can carry both Russian and Western weapons, in this case R-73 and Python 3. 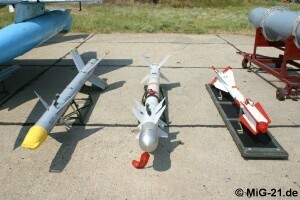 ... R-73, Magic 2 und Python 3 air-to-air missiles (top from left to right) in detail. 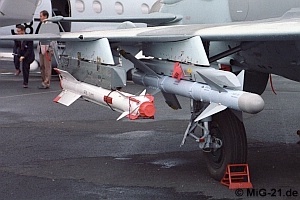 ... infrared and laser guided bombs Elbit Opher (top) and IAI (MBT) Griffin (bottom) as well as rocket pods UB-16. 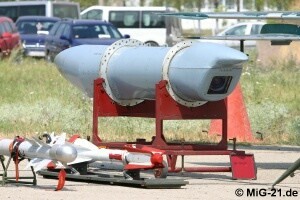 Behind the laser target illuminator can be seen an ARP photo reconnaissance pod, aside lies a R-73.